This content was published: February 19, 2018. Phone numbers, email addresses, and other information may have changed. Portland Community College’s own trailblazer Liliana Luna is a recipient of the 2017 Women of Achievement Awards through the Oregon Commission for Women. Luna, the Rock Creek Multicultural Center coordinator, is being recognized for her outstanding leadership in promoting equity and diversity opportunities for women within their education and civic engagement service. She will receive her award during a ceremony on March 1 that will be part of the Women’s History Month proclamation signing by Governor Kate Brown. In 2015, Luna began her educational journey as an undocumented student at PCC — the first in her family to go to college — and eventually got involved in campus life through student government. The 26 year old serves as an educator, advocate and role model through her work with the Multicultural Center at Rock Creek. According to the commission, “she demonstrates a commitment to equity and inclusion for students, especially women of color.” A DACA (Deferred Action for Childhood Arrivals) recipient, Luna possesses an associate degree from PCC, a bachelor’s in criminal justice from Portland State University, and is working toward a master’s in counseling education, also at PSU. She is responsible for providing an inclusive environment at the Multicultural Center and does this by supporting, retaining and empowering diverse students to help them achieve academic excellence and become leaders within the college and their communities. Additionally, Luna leads the Diversity Council at the campus, developed a partnership with the Mexican consulate to provide scholarships, and founded the annual DREAMers Gala to raise money and awareness for undocumented students. Her latest accomplishment is helping to open the first Development, Relief, and Education for Alien Minors (DREAM) Center at PCC. The center is the first of its kind in Oregon at a community college or university, providing resources and support for undocumented and DACA students and their families. According to Luna, there are roughly 400 DACA students at PCC, with an estimated 200 based at Rock Creek. 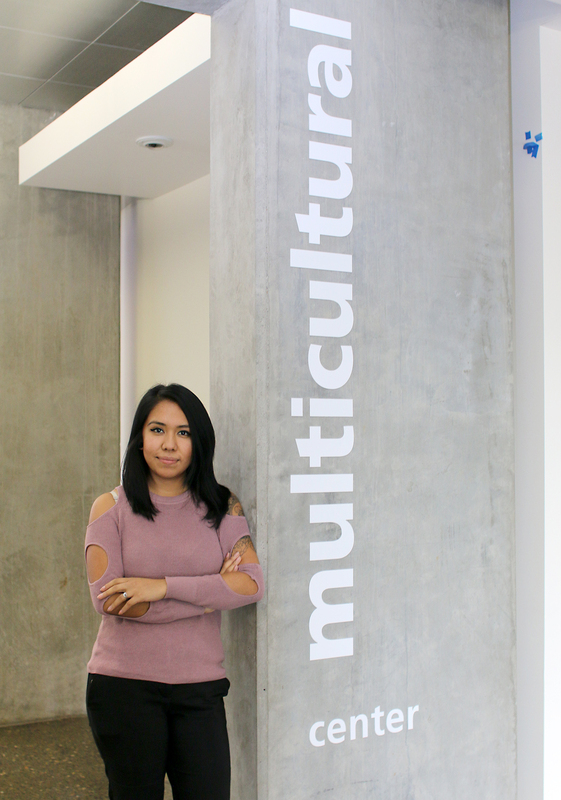 In 2015, Luna began her educational journey as an undocumented student at PCC — the first in her family to go to college — and eventually got involved in campus life through student government. She became a part-time casual employee leading the Rock Creek’s Multicultural Center and overseeing its projects, like the Oregon Leadership Institute and the equity ambassadors. Luna helped lead the effort to develop PCC’s DREAM Center, which offers a variety of resources: legal services, the facilitation and processing of initial DACA applications and renewal applications, workshops on student support and college navigation resources, and academic/career advising sessions. It serves 20 families and 20 students per academic term. “The students really pushed for this initiative to happen,” Luna said. “They saw the need for center and put in a lot of activism to get it done. They went to board meetings, and met with President Mark Mitsui and the campus presidents. I’m proud of how they pushed it through. For obvious reasons, the issues affiliated with undocumented youth is Luna’s passion. Besides the DREAM Center and fundraising for the DREAMers Gala, she’s joined protests advocating for DACA recipients in front of the Federal Building in downtown Portland. At a very personal level, she understands the adversity and fear felt by DREAMers. 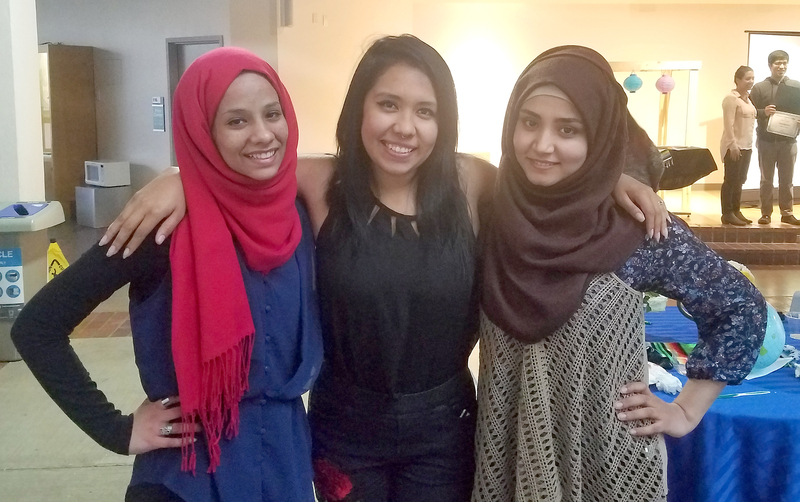 Luna’s personal story is all too familiar among the college’s group of undocumented students. In 2005, her parents brought their family of five from Mexico to the U.S., at the Texas border, before settling in Oregon. In Mexico, her father, a successful truck driver, and her mother, an executive, were concerned about drug cartels and the over-the-top, intrusive checkpoints and searches conducted by military troops brought in to keep the peace. Her father had built the family house by hand, himself, and because of the quality of his work, their neighbors thought the family had a lot of money. They were regularly targeted for their perceived affluence. “We needed to get out of there,” Luna said, and within a week of their decision to leave, the family fled north. Since that fateful time, much has changed. Despite an initial reluctance, Luna learned English through PCC’s English for Speakers of Other Languages (ESOL) Program at the Rock Creek Campus. Her parents settled into American life and moved to Washington state, where they now operate their own business. But during these uncertain times with the federal government and the current presidential administration, her family continues to be wary. “They did all that for us because they loved us and wanted the best for us,” Luna said of the move to the Northwest. “During our first Christmas away from home, we were in an empty apartment, no decorations, and we ate fast food, and that was it. But we had each other and that was all that that mattered. Hearty congratulations to Liliana and the Rock Creek Multicultural Center! This is an outstanding achievement and thanks to everyone’s passion and hard work to make the center happen. i am so inspired by you and all of your amazing work. A million heartfelt thank yous for your passion and your advocacy for those who really need it. Congratulations Lili! Thank you for your hard work and advocacy on behalf of students, the community and DREAMers throughout the nation. It is a privilege to learn from and work with you! Liliana siempre demostró que tenía un espíritu de agente de cambio.